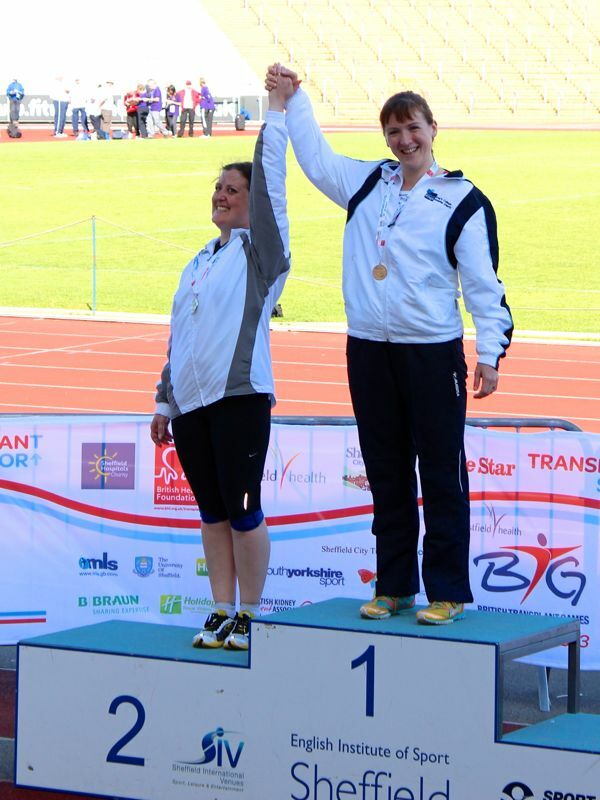 The British Transplant Games are an annual event for all survivors of organ or bone marrow transplant to compete in a variety of sports. I wrote these reviews just after the event in August, but I’m playing a bit of catchup in posting them now. 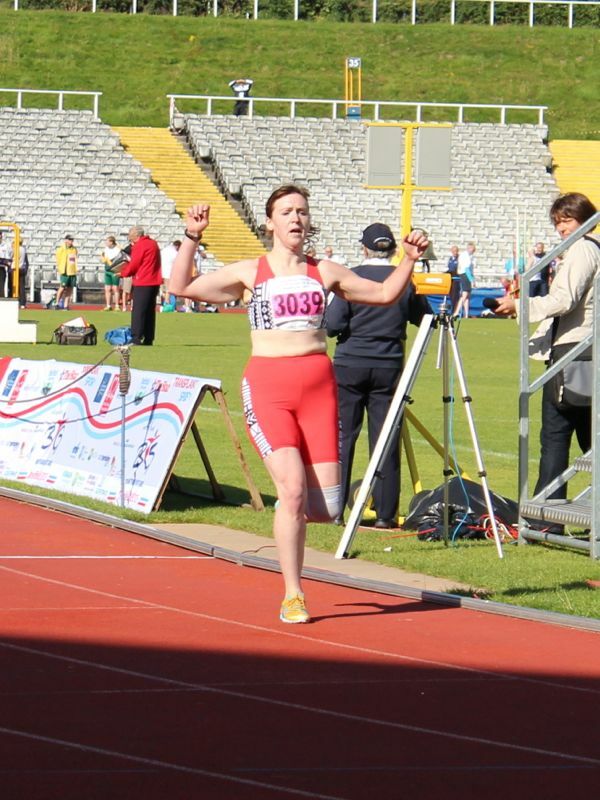 On Saturday I traveled up to Sheffield from London to compete in my first British Transplant Games, and despite having done specific track training for the past few months, I was absolutely bricking it in the lead-up to the first race. As a distance runner, I’d signed up to run in their longest events: the 3km “mini marathon” (awwww!) and the 1500m, plus a mixed 400m relay. I was surprised to find on Saturday evening however, that despite training for several months on the track, the “mini marathon” was actually a road race (good thing I didn’t put my spikes in! 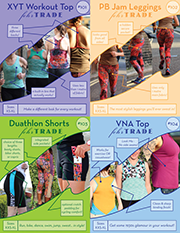 ), that there was a non-transplantee fun run happening at the same time (with no separate start for those of us competing for medals), and that my main rival was out with a stress fracture so the showdown I’d been building up for wasn’t going to happen. Still I set off strong, and by the time I exited the stadium and hit the roads outside Don Valley, I only had a few men ahead of me. I gradually picked off a few more up the unexpected hills, and by the time I re-entered the stadium for the finish, there was only one man ahead! My final time was never recorded (arrgh! ), but I was unbelievably chuffed to see I’d come in under 12 minutes, which was more than enough to earn me a gold medal for my age category, plus a trophy for being the first woman across. I was so surprised, I did an unintentional Mo Bot when the commentator told me I came in under 12 minutes!! 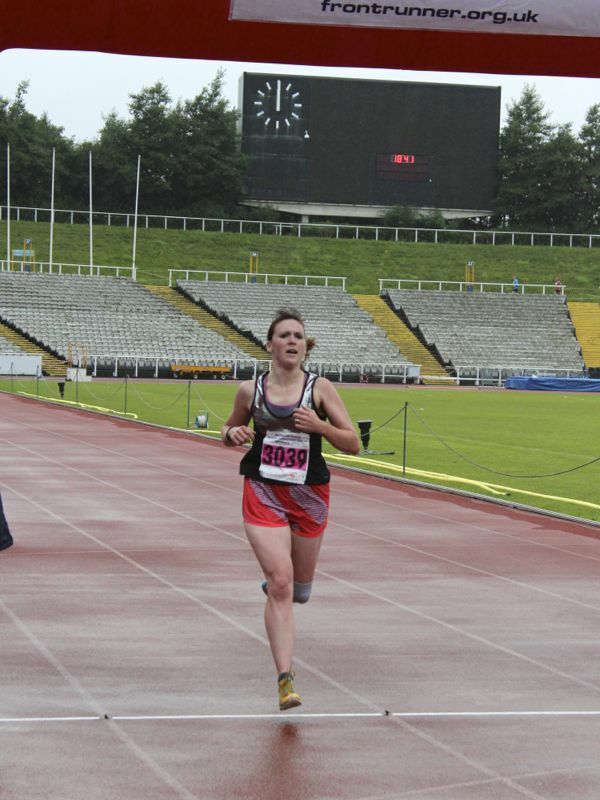 Then the next morning was my second race, the women’s 1500m (3.75 laps around the track). This indeed was a true track race, with a gun start and a bell for the final lap! I came out in front in the first 200m and grew the lead over the race, ending up finishing over a full minute ahead of the next finisher! I had to lap a few of the other ladies, which I felt bad about, so I tried to offer encouragement as I went past. I also ran in the mixed 400m relay later in the afternoon, but despite making our way through the heats, our team came in 4th in the final. Only one of us had done baton handoffs before, so we practiced just before the race, which was actually quite fun! Everything went smoothly and we all sprinted our hardest, but the other teams were just faster! No shame in that! All in, I was really proud to earn two gold medals for Kings College Hospital (at the games, you compete for your transplant hospital), and proud to wear the Kings tracksuit up on the podium. 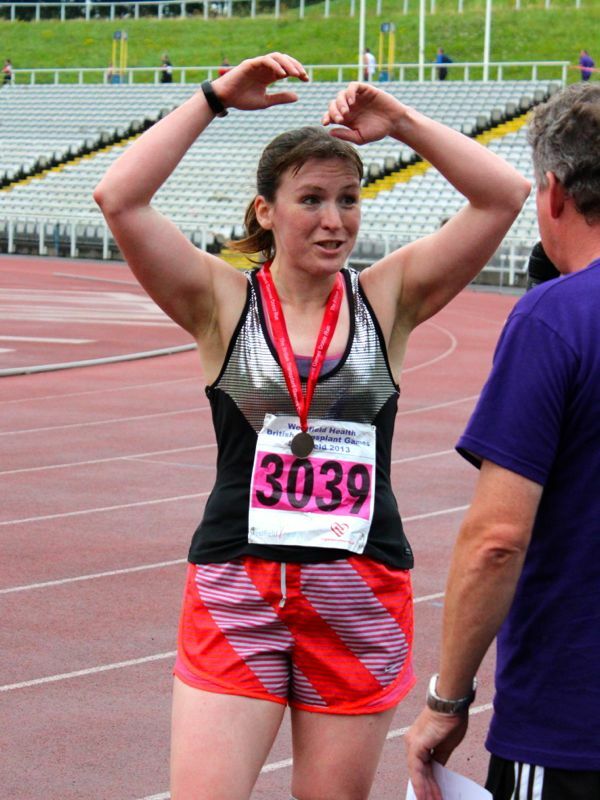 For the first race, I wore my trusty Nike short shorts and my disco split back top, but for the second race, I threw all caution to the wind and wore my brand-new Jalie shorts & sports bra set since it made me feel that little bit more elite, ha. Not bad for someone who was a few weeks from death four years ago! It was a truly inspiring weekend of sport, with only points deducted for missing out on a good tussle with my rival. Bring on Bolton 2014.